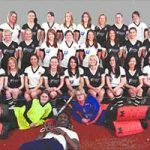 Fieldmans Access Floors actively participates in teambuilding and charity events and strongly believe in supporting our local community. 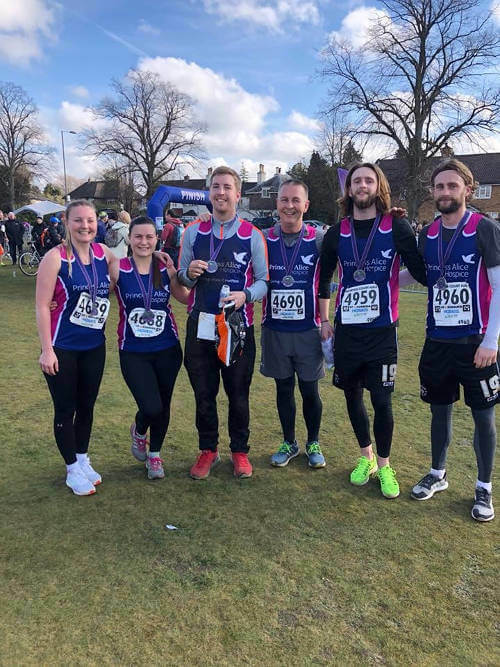 On the 18th February 2018 6 family members ran the Hampton Court Half Marathon, Mike Mansfield, Grace Mansfield, Nick Mansfield, George Franks, Fraser Franks, Jo Mansfield (those in bold Fieldmans employees). Everyone stayed together the whole way round and finished in 2hours 28mins! 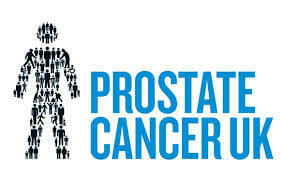 Raising money for the Princess Alice Hospice in memory of Ken Mansfield Snr https://www.justgiving.com/fundraising/kenmansfield1 current total of £2,042. 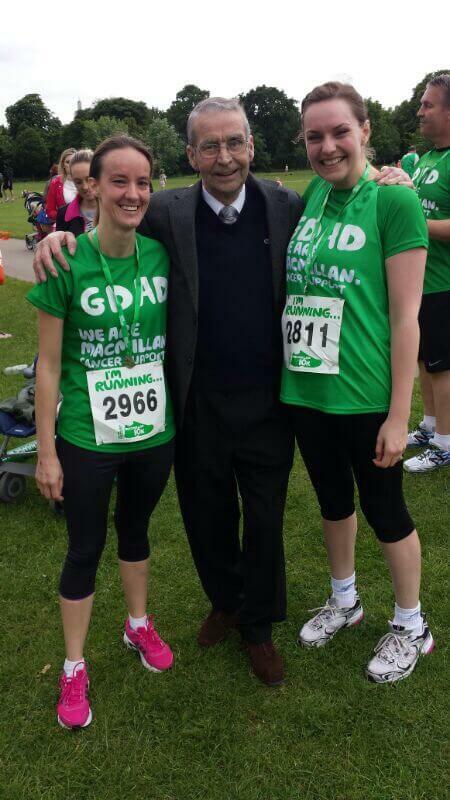 On the 21st June 2015, family members and fellow colleges of Fieldmans, came together to run a 10K race for Macmillan Cancer Support, a cancer charity that helped Ken Senior and the Mansfield family through tough times, when he was diagnosed with Lung Cancer. This year’s participants were Mike Mansfield, Lisa Sams, Nick Mansfield, Lucy Mansfield, Grace Mansfield, Rachel Mansfield, Jo Mansfield, George Franks. Together they raised an amazing £1510. 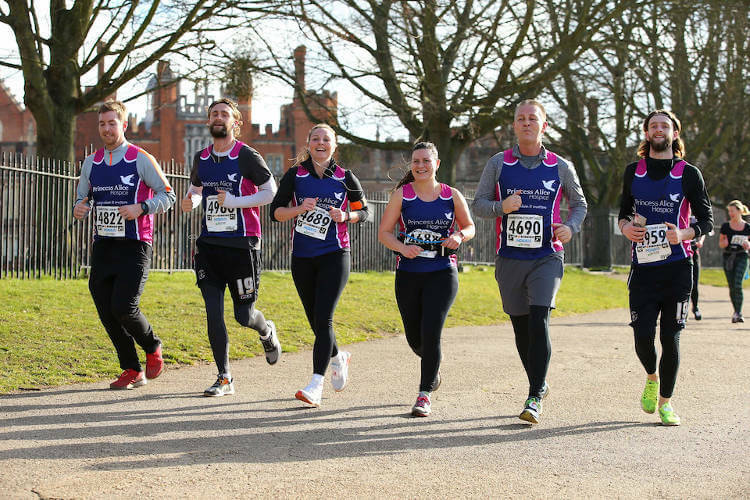 We would like to give a big thank you to everyone who donated to this worthy cause and to all those who took part in this year’s race. 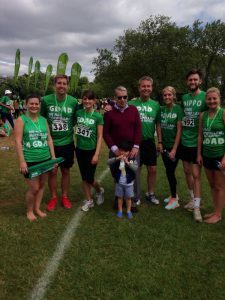 Ken will once again be braving the water of the Thames for a 1mile freestyle swim in aid of Macmillan Cancer Support who supported Fieldmans’ Ken Senior through Lung Cancer treatment. 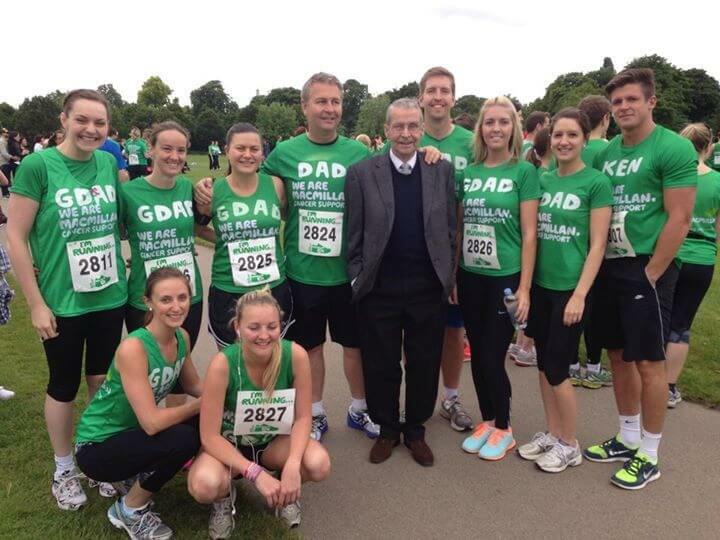 Fieldmans family members and colleges competed in the Father’s Day 10km run at Regents Park in June 2014, on behalf of Fieldmans employee Ken Senior. Ken was diagnosed with lung cancer last November and is currently in recovery. Fieldmans raised a total of £1311 for Macmillan Cancer Trust in recognition of the dedication and kind support they gave to Ken. Fieldmans employee Lisa Sams joined a team from the Heathrow T2a project to complete the 100km Trailwalker Challenge in July 2013 for Oxfam. Fieldmans Access Floors employees have taken part in the Funraisers Dragon Boat Festival in both 2013 and 2012 for the Sands Charity (the Stillbirth and Neonatal Death Charity) and Action for Children, respectively. Sands supports anyone affected by the death of a baby, and works in partnership with health professionals to try to ensure that bereaved parents and families receive the best possible care. Donations fund research that could help to reduce the numbers of babies dying and families devastated by this tragedy. 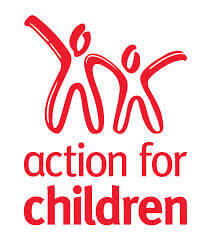 Action for Children aims to help the UK’s most vulnerable children and young people achieve their full potential. Their work provides a wide and innovative range of services for the children and their families, as well as campaigning for a policy change. The Fieldmans team participation in the Funraisers Dragon Boat Festival in both 2012 & 2013 raised almost £1000 for Sands and Action for Children. 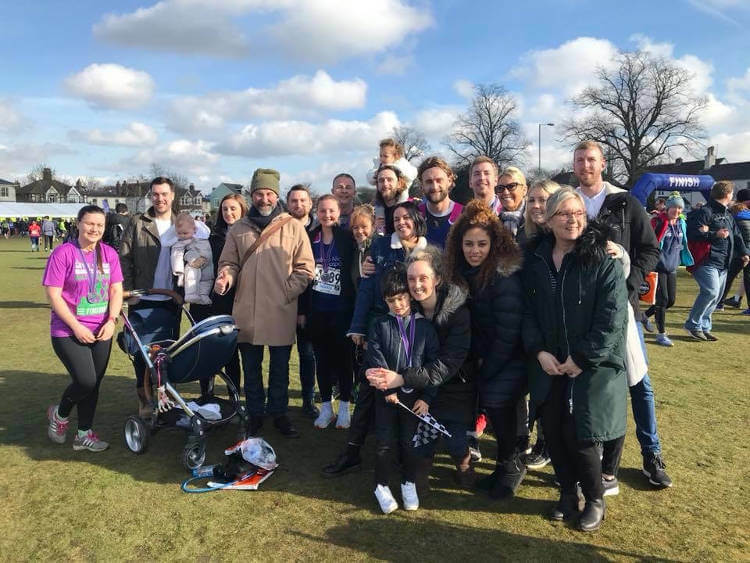 Fieldmans Access Floors employees, Ken and Nick Mansfield braved the waters of the Thames for a one mile free-style swim in aid of Sands, the Stillbirth and Neonatal Death Charity. Sands supports anyone affected by the death of a baby, and works in partnership with health professionals to ensure that bereaved parents and families receive the best possible care. Donations fund research that could help to reduce the numbers of babies dying and families devastated by this tragedy. Ken & Nick’s hard work raised £320 for Sands. 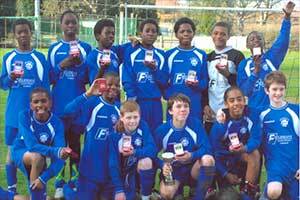 Roman Road champion footballers of Newham!!! 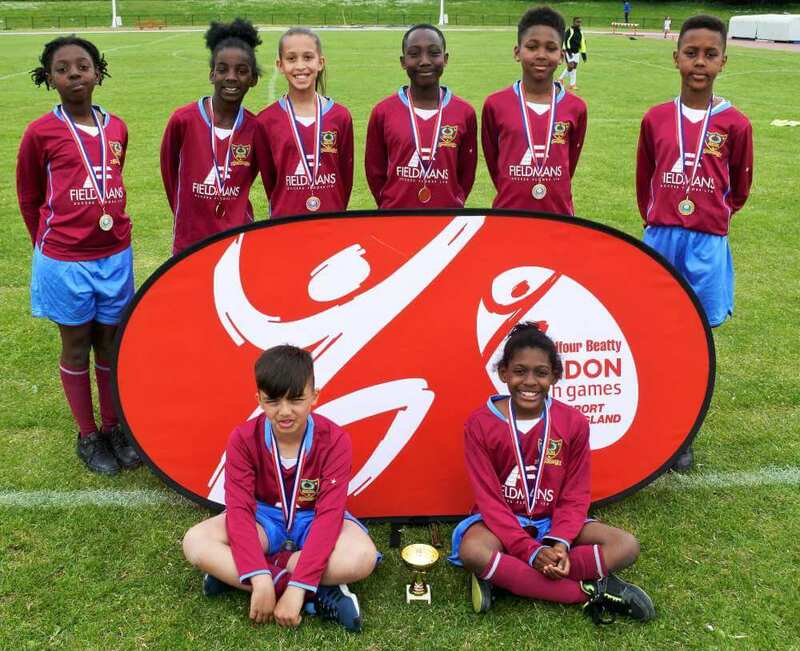 A huge, huge congratulations to Roman Road – mixed football champions of 30 local teams. Achievement is Paramount is the motto and this is a wonderful achievement. 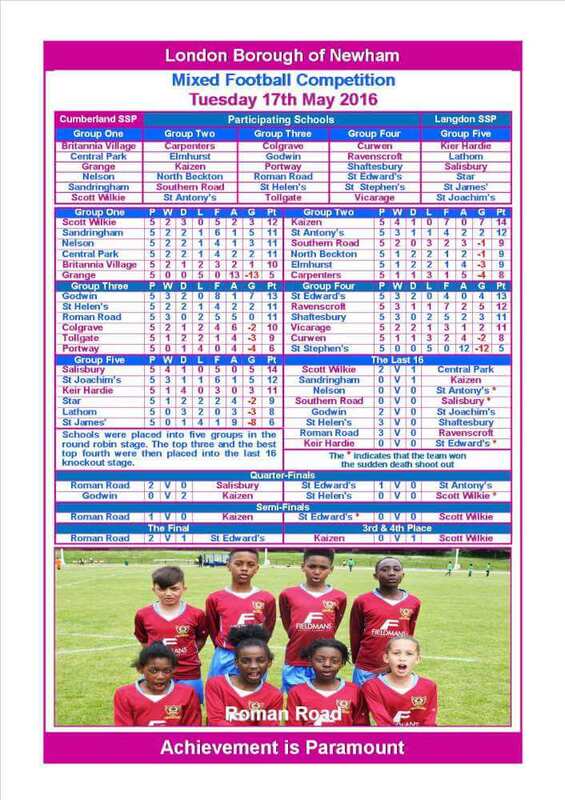 Here at Fieldmans we are deeply proud to be associated with such inspiring kids. 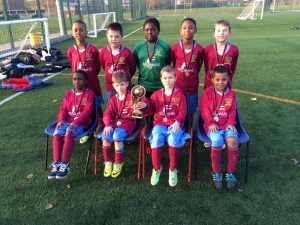 A huge congratulations to all the boys from years 3 and 4 who represented their school, Roman Road Primary School in a recent football tournament. The boys put in a spectacular effort and managed to bring home the trophy! Well done to all the players, they showed incredible team spirit and football skills. Fieldmans Managing Director Ken Mansfield has participated in several ‘Career Days’ at local primary schools to encourage further learning and the construction industry pathway. 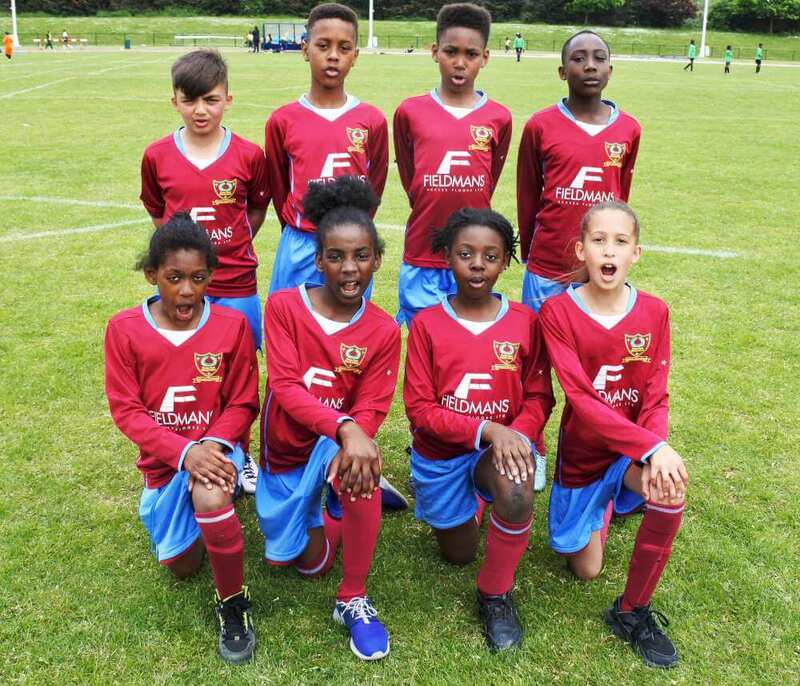 Roman Road Primary School in Newham, London has worked to develop sporting excellence through training and by taking part in various sporting competitions in partnership with Fieldmans, coaches from West Ham and neighbouring Secondary, Langdon School. 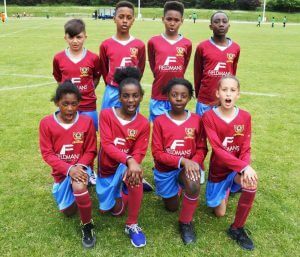 In recognition of this and to develop a team ethic, Fieldmans Access Floors has sponsored the schools sporting teams and has provided the school with a new team strip that shows off the school colours. 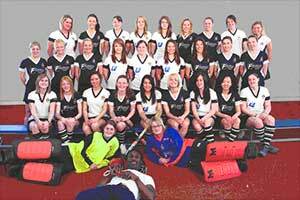 Fieldmans Access Floors sponsor a number of teams and clubs at youth, student and adult levels in the local and national communities, including teams from Brunel University (Women’s hockey) and The University of Warwick (football), as well as Valley Valiant’s Football Club, Providence Football Club and Keyworth Football Club. 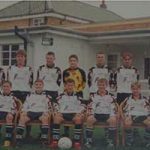 The sponsorship and management of MD Ken Mansfield have led Keyworth FC to 3 titles and 4 promotions in 5 years, including the recent treble-winning season. Keyworth have also competed internationally and were honoured to play against the Gibraltarian national team in recent tours. 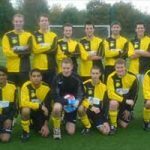 To encourage teamwork on the Heathrow T2a project, the Fieldmans team held a corporate 5-a-side football tournament in June 2013 open to all contractors working with us on the new Terminal 2. 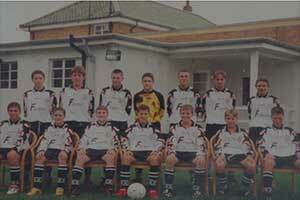 Fieldmans Access Floors were kit sponsors of Crystal Palace Football Club in 2000. 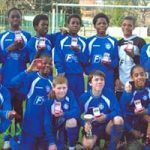 As sponsors of the club, Fieldmans have also had the opportunity to attend many club fundraising events, owned an executive box for numerous seasons and competed in corporate 6-a-side tournaments on the Selhurst Park turf. 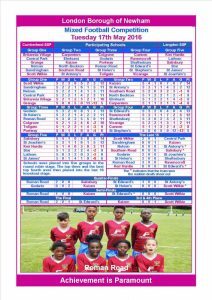 Fieldmans Access Floors are proud to sponsor The Downside Fisher Youth Club which provides support to socially excluded children and young people, enabling them to fulfil their potential as capable, confident young adults through a structured programme of sporting, artistic and recreational activities.